Oct. 17, 2016, 10:32 a.m.
By Ricardo Bilton @rbilton Oct. 17, 2016, 10:32 a.m. If you’re good at something, the saying goes, never do it for free. It’s advice that The Lens has taken to heart. In 2014, The New Orleans-based local news site launched The Lens Speakers Bureau, a program created to formalize and monetize the process of getting Lens reporters to speak at local events. In exchange for a small amount of cash — usually $150 — professional, community, academic, and civic organizations can request Lens reporters to speak on some of the site’s core topics — politics, land use, schools, criminal justice, city government, and the environment. Beyond a community service, Speakers Bureau also represents a new revenue stream for The Lens, albeit a small one so far. The site pulled in roughly $10,000 in speaker fees last year though the program, which is “certainly not anything major,” Beatty said. On the other hand, for a small local nonprofit such as The Lens, which has an eight-person staff and a budget of just under $600,000, that revenue isn’t insignificant. “It’s not a major part of the budget, but it’s nice to know that the paper clips are paid for,” said Karen Gadbois, The Lens’ cofounder. Speaker Bureau owes its successful first year in large part to fortuitous timing. 2015 was the 10-year anniversary of Hurricane Katrina, which changed New Orleans in ways that the city is still coming to terms with. As a result, the Lens saw a surge in requests from organizations looking for reporters who could talk about how the city has changed over the last decade. Beatty said that The Lens, like many news organizations, is not always comfortable putting a value on the content it produces and the reporters that produce it. In some ways, it’s a product of the legacy of separation between the business and editorial sides of news organizations, which shielded reporters from concerns about how much their work — and their expertise in a given area — was worth. “Reporters may brag and talk loud at the bars, but we tend to be kind of humble in valuing our work,” said Beatty. 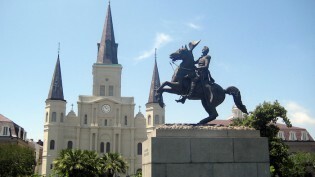 Photo of New Orleans by Roger Smith used under a Creative Commons license. POSTED Oct. 17, 2016, 10:32 a.m.
Bilton, Ricardo. "With a speakers bureau, New Orleans’ The Lens has turned reporters’ talks into new revenue." Nieman Journalism Lab. Nieman Foundation for Journalism at Harvard, 17 Oct. 2016. Web. 18 Apr. 2019. Bilton, Ricardo. 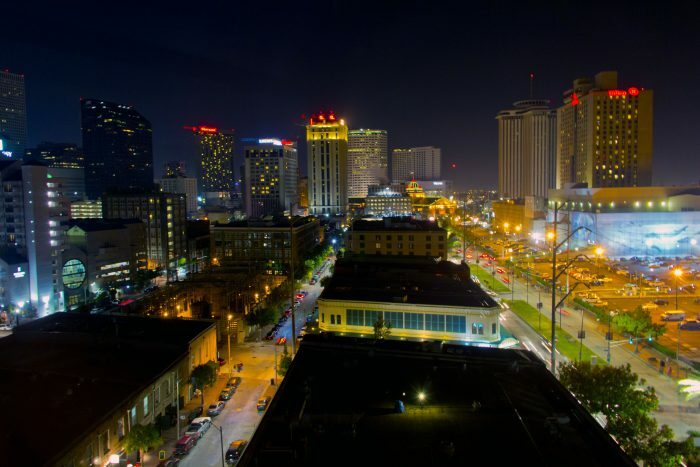 "With a speakers bureau, New Orleans’ The Lens has turned reporters’ talks into new revenue." Nieman Journalism Lab. Last modified October 17, 2016. Accessed April 18, 2019. https://www.niemanlab.org/2016/10/with-a-speakers-bureau-new-orleans-the-lens-has-turned-reporters-talks-into-new-revenue/.